Gift giving is often the most fun part of any special occasion, so it’s definitely not the time to skimp on the celebration factor! 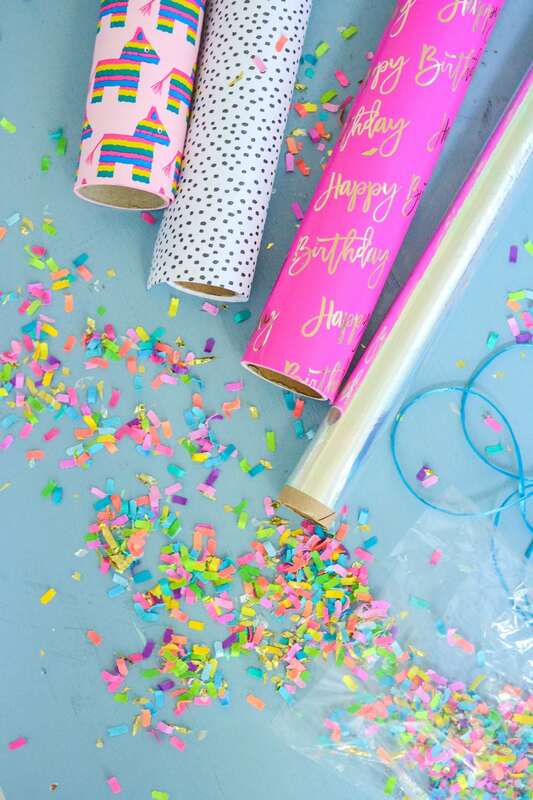 While using confetti as part of a gift is always a good idea, I’ve got a really easy (not to mention adorable) way to add it to your wrapping, too! 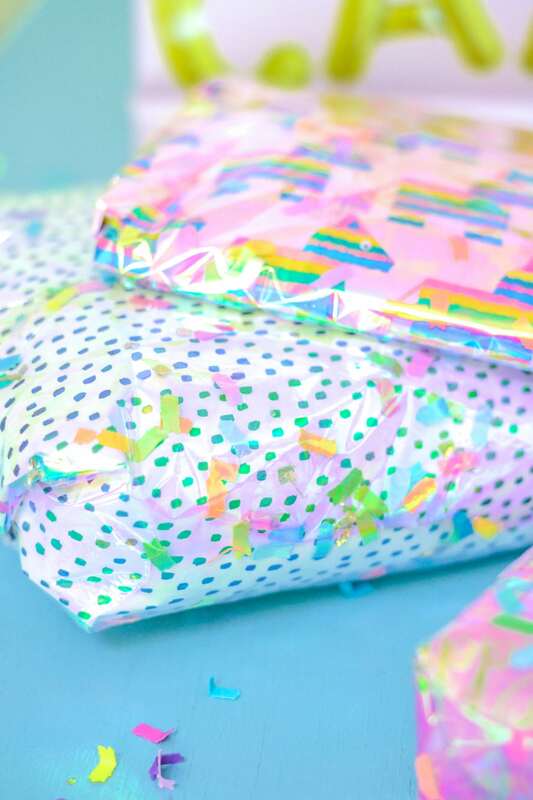 To start you’re going to want to snag some pretty wrapping paper — anything that matches the theme/style you’re going for, although I will say simple patterns/solid colors tend to work best if you really want the confetti to stand out. You’re also going to need scissors, tape, confetti, and some iridescent cello wrap (<— affiliate link). Ribbons, bows, and other embellishments are fair game, too! 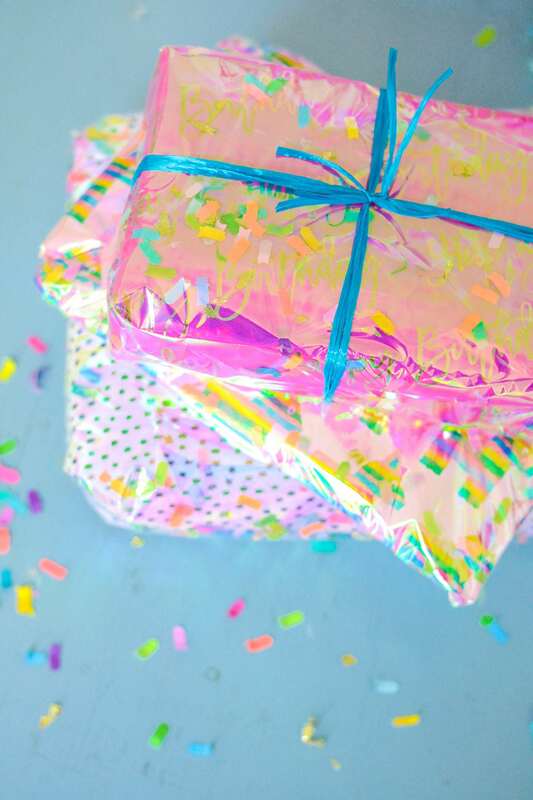 Lay the piece of wrapping paper back over the confetti-sprinkled cello, and proceed to wrap your gift like normal, being sure to hold the wrapping paper and cello together as you fold it around the gift. Feel free to add any ribbon, bows, or gift tags to make it a little extra special. How cute and colorful does it look? 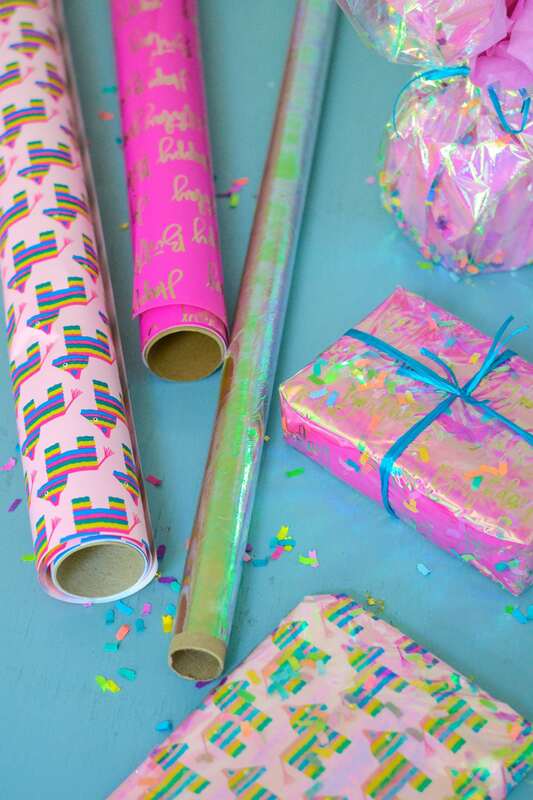 I don’t know about you, but if I got a gift wrapped like this, I’d be over the moon excited to open it. 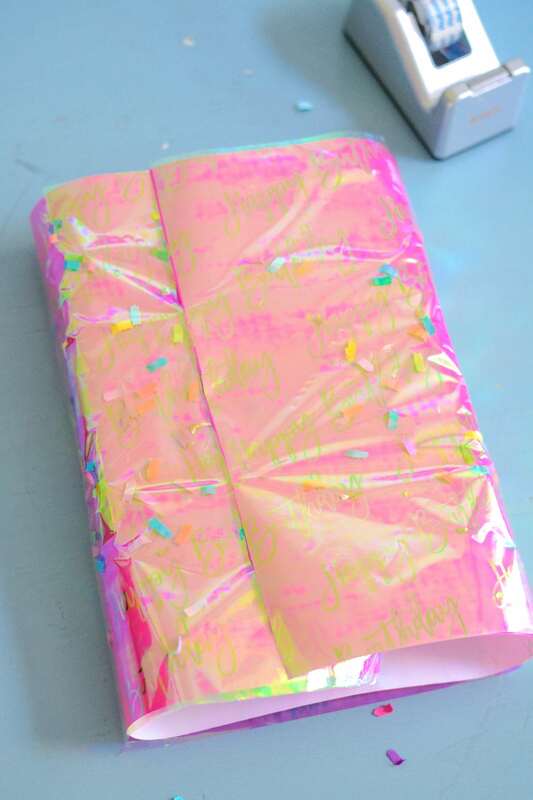 You can use the same technique to wrap something more fragile up in tissue, too! Would be cute for a mug/vase, or even a champagne bottle. Told you it was easy. 😉 And the end result is ultra fab, right? !